The strange disappearance of a pan of home made fudge, turned out in the fudge factory in the State bank building about 4 o’clock yesterday afternoon, created an excitement in that building which has never been equaled at any time, not excepting the time when the screens mysteriously disappeared. The fudge was brewed by the Misses Lettie Marvin and Florence Rattenbury, its delectable fumes penetrating the air, floating out over the transom and attracting a horde of gentlemen tenants, who flocked around that door in a manner that reminded one of flies around a honey jar in July. 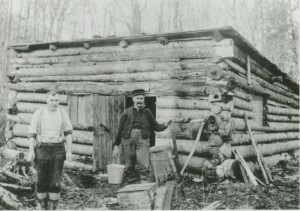 They all came to the fudge factory, but it was noticed that two of them, E. Sprague Pratt and C.L. 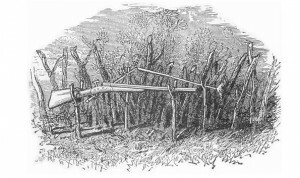 Curtis, the engineer, looked greedily upon the brewing brown mixture while their noses twitched like those of rabbits when they scent the fresh green things in the spring. Jens C. “Jensy” Petersen, taken on October 24, 1901 as he was starting his training under prominent Chicago architect, James Gamble Rogers. Image courtesy of Julie Schopieray. Others came also, among them being Jens C. Petersen, G.W. 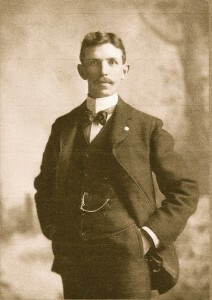 Power, C.J. Helm, E.S. 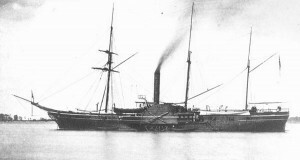 Williams, E.C. Billings and the greyhound Jack, in fact it is claimed by the fudge manufacturers that every man in the building came and looked longingly at the candy, sniffed the air and swallowed hard in anticipation. But having faith in these gentlemen and never for one moment believing that they could do any wrong, the ladies did not place a guard over their product when it was completed, but set it in the window of the fudge factory to cool, then went down the hall to discuss what they were going to be thankful for on Thanksgiving day. And now they are looking for that pan of fudge. When they went back to get it, there was no fudge there, not even the pan. It was gone as completely and mysteriously as though it had never been. Search was made for it, detectives were placed on the case, the different offices were visited, the tenants begged threatened, wheedled and bluffed, but none confessed. A notice was place in a conspicuous place stating that if the pan would be returned no questions would be asked, but even this was ignored. The prosecutor left the city hurriedly, and the ladies believed it possible that the fudge went with him, but this is only suspicion. It is thought that the fudge, pan and all was swallowed by someone, and they are wondering which one off the tenants could have performed this feat. The only one in the building who could make way with the pan in that manner is Jack the greyhound, but he can prove an alibi. The mystery deepens. The ladies declare that if any of these hungry eyed men had asked them for a piece of fudge, they would gladly have given them some, but to think of being robbed like this of all they had, is hard indeed. When the guilty party or parties are apprehended, they will be dealt with severely. 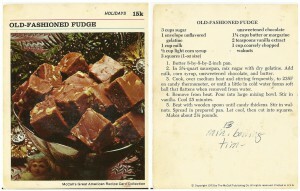 Fudge recipe from McCall’s Great American Recipe Card Collection, ca. 1980s. Nothing has been found that indicates that anyone ever confessed to this crime, so it remains a mystery 107 years later. The writing style of the article is suspiciously like that of Jens C Petersen, a local architect. Two weeks after this incident, the editor began publishing letters to Santa Claus, and many local businessmen submitted their own pleas to Santa. The following letter was sent in by Petersen. 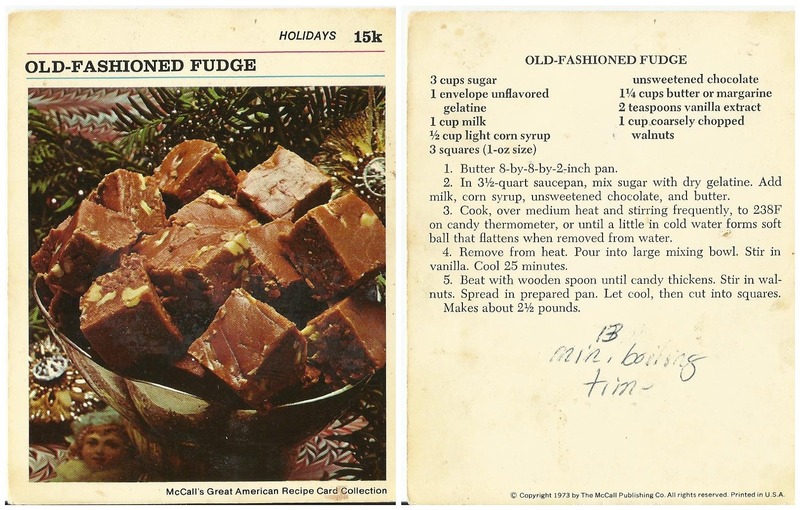 His obvious love of fudge makes one wonder if he was the one who absconded with the sweet treat the day before Thanksgiving. NOTE: I was curious about the use of the word NAILED in this article and found one definition that applies here: “Nailed- past tense of nail- is seize, or take into custody.” I had never heard the word used that way before! Contributed by local Jens C. Petersen aficionado, Julie Schopieray. But did you know the following? The telephone didn’t come to Benzie County until after Archibald Jones lowered Crystal Lake in 1873, according to History of Benzie County Michigan, The Traverse Region (H.R. 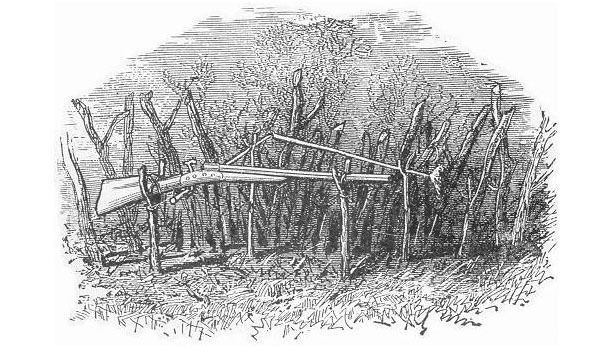 Page & Co., 1884, p. 288-298). 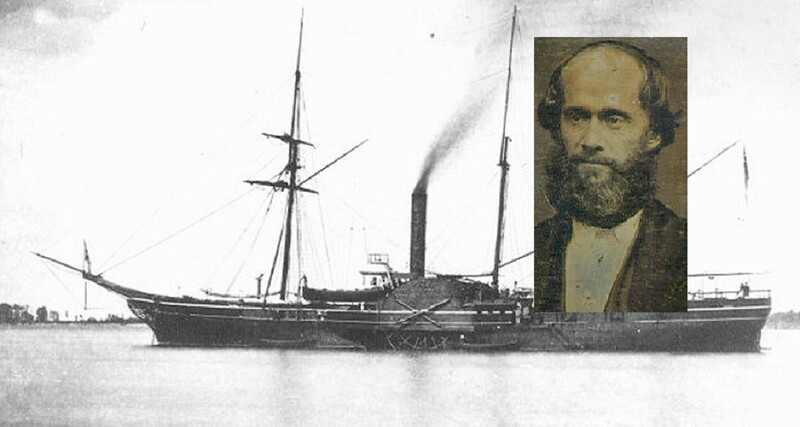 “…and telephone lines, daily mails and other conveniences are in operation (as of 1884)”. For the staff at A. Papano’s Pizza of Kingsley, history is more than just a rehashing of the past; It is all about building community, according to Jeff Yacks, owner. 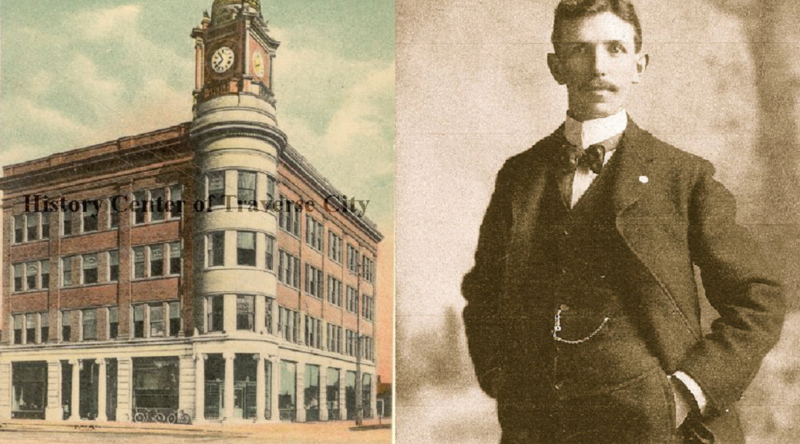 So when A. Papano’s crew leader Jeff Pearson began researching the history of the building occupied by the business at the corner of Brownson and Blair, he saw an opportunity to engage with the community on a more meaningful level. The research project culminated in the unveiling of a display, now available for public viewing in the seating area of the restaurant at the Kingsley location. The display features the history of the building, tracing the previous owners and functions, as well as pointing out some of the unique parts of the building, left over from years of remodeling. Downtown Kingsley is largely comprised of brick structures dating from the early 1900s, and over the years, doors were closed off, windows bricked up, and more. The staff are especially proud of uncovering the last bit of original tin ceiling in their building, which miraculously survived an early 1990s demolition project. The ceiling of Beyer’s Grocery, now on display at the Kingsley Branch Library. 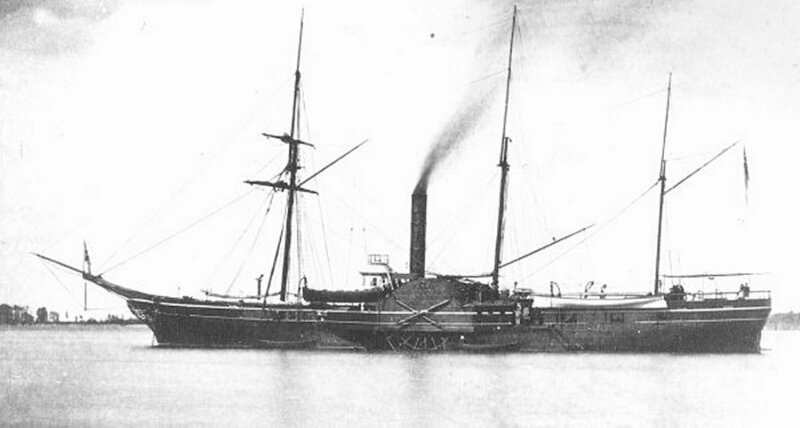 Image and artifact courtesy of Yacks. “Through the Kingsley Branch Library staff, I found out that the ceiling of Tony Beyer’s grocery had been ripped out in the early 90s, and they supposed that all of it was gone. I then went and talked to our landlord, and he thought there might be some left. 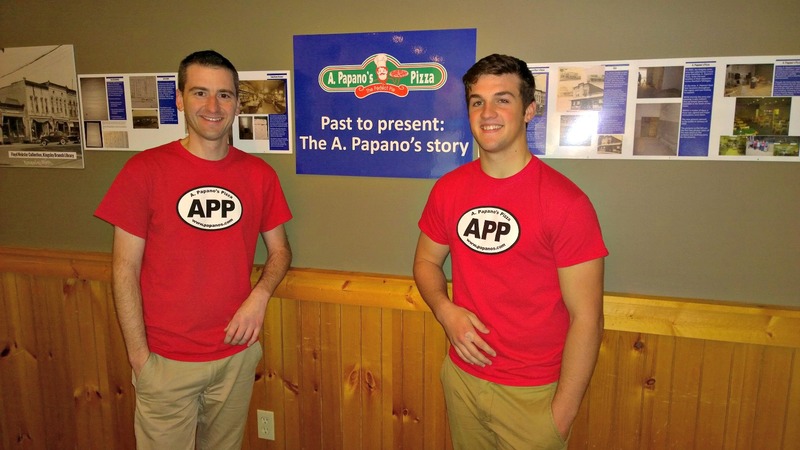 We (A.Papano’s staff) searched and searched all 2000 square feet of the building, and found a 4 by 6 foot section. There was plumbing and insulation in the way, we had to get a ladder… and Jeff got metal shavings in his eye, so I sent him to get a tetanus shot… three hours later, we ended up with a piece of the tin ceiling!” The ceiling tile is now on display at the Kingsley Branch Library. For their tireless efforts, the research team was awarded the Floyd Milton Webster Prize for History in June 2015. When asked about what made this research project worthwhile, Yacks pointed to the June 22nd award ceremony. 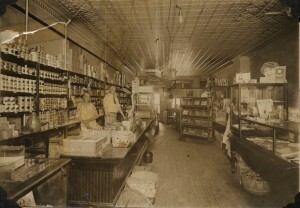 Interior of Tony Beyer’s grocery, now A. Papano’s Pizza, downtown Kingsley, 1924. 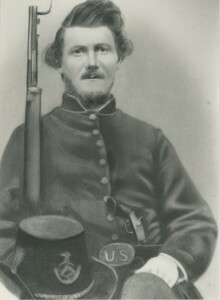 Image courtesy of Kingsley Branch Library. So what was the most difficult part of the project? 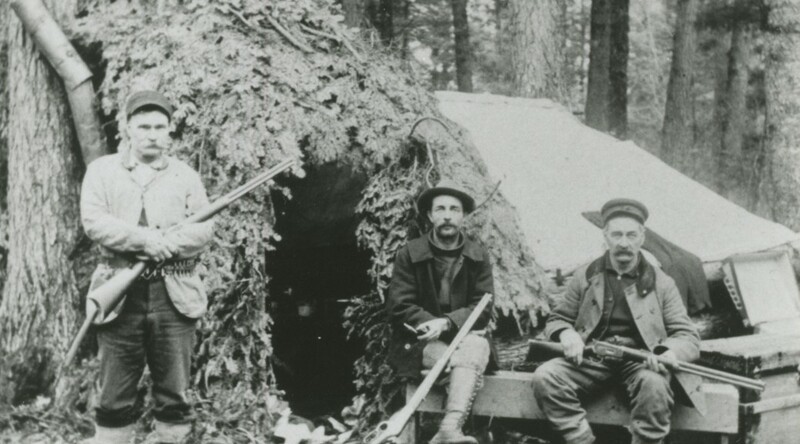 “Early on, we were trying to find the initial land plotting, and I was going through all the libers at the governmental center, tracing all that history. 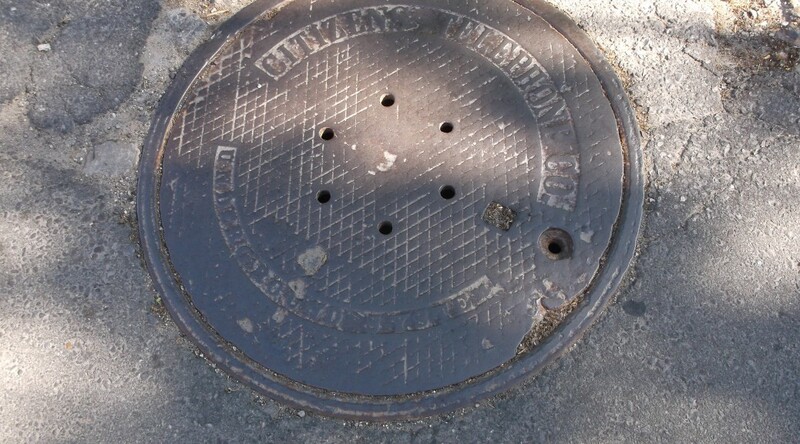 We were trying to prove or disprove if Doctor Brownson (who operated Brownson Sanitarium in Kingsley at the turn of the 20th century) ever owned the land, but we never did find that link. That was a lot of Friday afternoons spent,” explained Yacks. 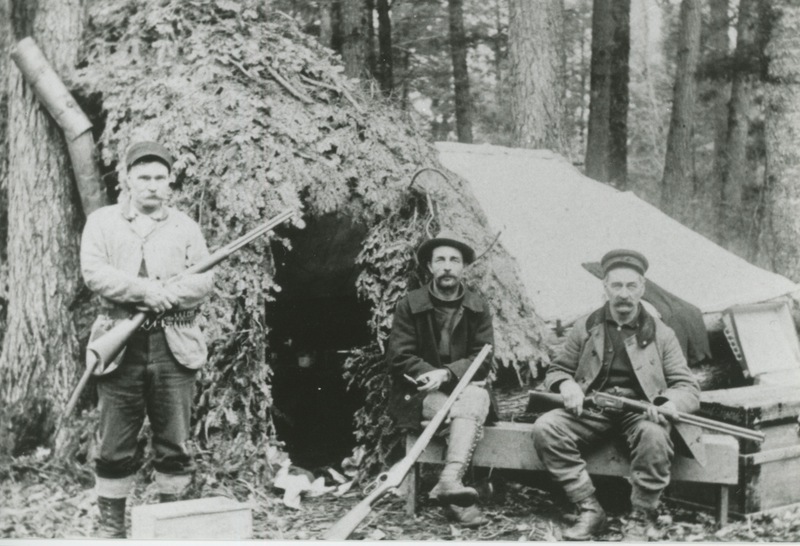 The governmental center wasn’t the only place the research team turned to for help. Yacks praises staff at both the Kingsley and Woodmere Branches at Traverse Area District Library for their assistance, even though he was leery to use those services at first. Despite the significant amount of time spent on the project, Yacks stresses the value of engaging in a history research project like this, and what it has done for his business. 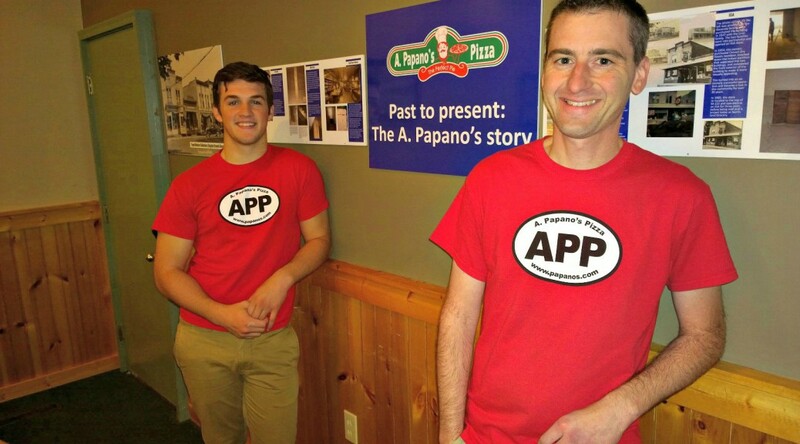 Jeff Pearson (right) with Jeff Yacks in front of A. Papano’s Pizza of Kingsley history display. Image courtesy of Yacks. 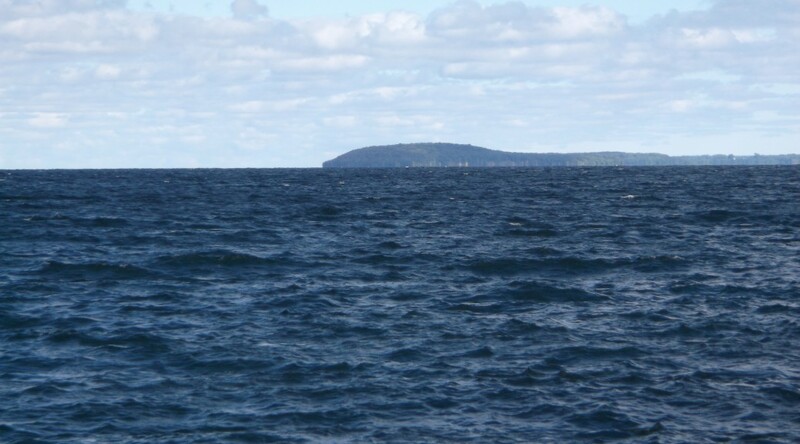 When you look out at Power Island, South Manitou, or Mackinac Island, you see a tiered wedding cake apparition rising from the water. Often we take that appearance at face value, never asking the important question, “How did it come to be that way?” Indeed, there is an explanation and it is not hard to understand. A moraine is a glacially-formed accumulation of unconsolidated glacial debris that occurs in formerly glaciated regions. Image courtesy of Illinois State Genealogical Society. Most residents of the Traverse area know that the Lakes were carved out by glaciers—and not so long ago in geologic time. The last major advance was 14,000 years ago, with secondary advances occurring as late as 12,000 years ago. This continental glacier was a mile thick in places, certainly big enough to carry boulders to unlikely places, make north-south gouges in underlying bedrock, and form moraines both at the endpoints of its advances and at points where the glaciers simply melted, letting down its cargo of rocks, gravel, and sand. The steep, winding path of M-72 going up from West Bay climbs the end moraine of the last glacial advance. What does the glacier have to do with the wedding cake appearance of islands in the upper Great Lakes? The terraces far above the present lake levels are beaches created during our glacial past when the water took different pathways to drain the melted ice water. 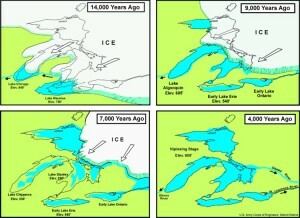 As the ice retreated, that water left the Upper Great Lakes by way of the Chicago River to the west and Lake St. Clair and the Detroit River to the east. This was a high water level, the surface of future Lakes Michigan and Lake Huron standing at 605 feet above sea level. Since the present level of those lakes is 535 feet, an ancient beach can observed high above the water on Mackinac Island—the uppermost tier. The combined waters of Lake Huron and Lake Michigan formed a single expanse called Lake Algonquin. Later, retreating ice opened a drainage pattern through Georgian Bay and out through Ontario by way of the Ottawa River. This event marked a low water stage for the Upper Lakes, a state that was not preserved very long. As the weight of the glacier left the land, it sprang back up much like a trampoline relieved of a hurtling athlete. 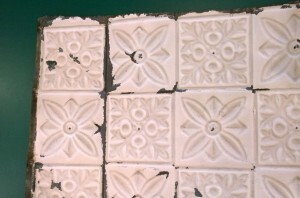 The effect was to cut off the drainage directly through Canada and bring back the familiar pattern through the Chicago River and the Detroit River. Another high water level stage resulted, this time resulting in a combined lake comprising Lakes Michigan and Huron called Lake Nipissing. Lake Nipissing beaches are lower than Lake Algonquin’s, but they can be seen readily on Power Island and the Manitous. 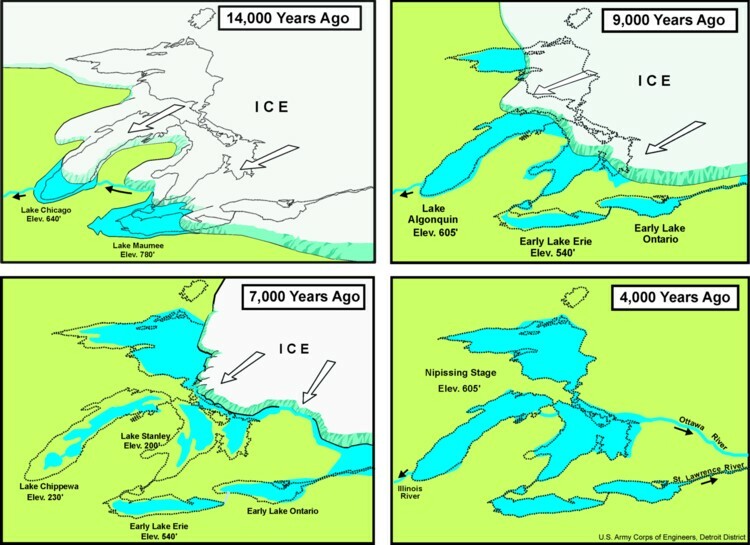 The Great Lakes are constantly changing: the land is still springing back as a consequence of the disappearance of the glacier and changes in precipitation and evaporation (as well as human use) cause year-to-year, decade-to-decade changes. Climate change might cause rapid changes, low water stages resulting from increased evaporation or high water stages coming from increased precipitation. As yet, a clear pattern has not emerged. 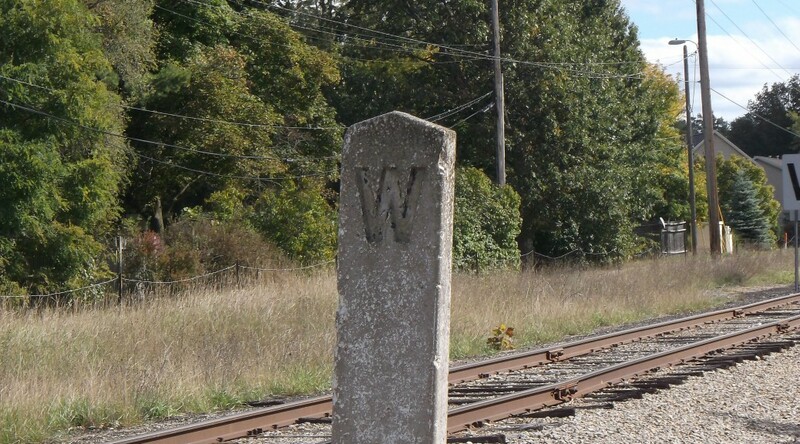 Dear readers, this marker is placed near the railroad tracks, close to the Woodmere Branch of Traverse Area District Library. What does that mysterious “W” stand for? And who should pay attention to it? Here’s your clue: Your editors believe this to be rather antiquated, and feel that the “W” might be better replaced with a “H” for modern times.